TLP is proud to partner with a number of excellent organizations in Metro Vancouver. If you are interested in building a partnership with us, please contact Holly Chan Yip at Holly@thelipstickproject.ca. The birth place of TLP, NSH provides exceptional assistance to palliative patients and their families. Starting in April 2013, our team of volunteers has provided hair, nails, and massage services to the residents, families and staff there on a bi-weekly basis. We are incredibly grateful to call this place our home! A "home-away-from-home" is truly what we feel about RMH - every visit there with the children and their families have provided fun, unique, and magical moments. We began our RMH journey with monthly visits to their previous Shaughnessy home in January 2014. Today, our hair styling services and mini manicures are a regular part of the rhythm of life at their new 73-room House on the BC Children's Hospital campus in Vancouver. We have the pleasure of partnering with Canuck Place Children's Hospice for some of their special events. Canuck Place staff organize activities for patients and their families, and The Lipstick Projects Team comes alongside to bring some colour and sparkle to these events! So far we've been a part of a girls night out, and a sleep away camp in Squamish. We're looking forward to many more fun-filled days with the Canuck Place crew. 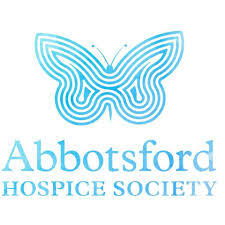 We began our partnership with the Vancouver Hospice Society in early 2016. Tucked away behind beautiful green landscaping on busy Granville Street, VHS provides a calm, holistic place of respite for palliative patients and their families. We're pleased to add a second hospice to our list - our volunteers have been moved, strengthened, and inspired by working in the palliative environment. In July 2014, TLP put together a fabulous team of hair stylists and estheticians to pamper the 30+ young campers from BCCH Pediatric Rheumatology's Summer Camp in Squamish. Since then, we’ve partnered with BC Children’s Hospital on a number of occasions; from helping a very special grad to get ready for her prom to celebrating a movie premiere with one of the teens’ programs - we have loved every second. We started visiting the Ronald McDonald House Family Room in Surrey in February 2016 and provide massage and hair services to the families there. The 2,000 square foot Family Room has four sleeping rooms to provide comfort and rest to parents staying at the hospital with their children. It is located beside the Neonatal Intensive Care Unit in the Critical Care Tower at Surrey Memorial Hospital. We are thrilled to participate in this annual summer camp put on by the Canadian Cancer Society. Camp Goodtimes provides a one-of-a-kind summer camp experience for kids living with cancer and their families. Tucked away on the shores of Loon Lake in Maple Ridge, our volunteers head up three times a summer to provide rejuvenating massage services for the well-deserving caregivers. St John Hospice is our first partnership with the team at Providence Health Care. St John's embodies everything we love: creative, compassionate, community-based care. Since October 2017, our team of four has delivered hair, nail and massage services on Wednesday afternoons to the residents, families and staff. Since 1974, the team at North Shore Stroke Recovery have been providing stroke recovery and community-reintegration support for residents of North and West Vancouver. With a priority on infusing participants' lives with dignity, community and independence, NSSR was a natural and welcome partnership for our team. We launched our partnership in October 2017 and, since then, every other Tuesday afternoon you can find our team of estheticians providing free nail services to the NSSR family at the North Shore Neighbourhood House. TLP has also expanded to work with NSSR’s Young Stroke Survivors program as well! We’re thrilled to be partnered with the Delta Stroke Recovery Society starting in 2019 providing manicures and hand/arm massage to their members every other week. The team at DSRS offers a social environment for stroke survivors, caregivers, staff and volunteers. It is a space to make new friends, increase lifestyle options, and become partners in stroke recovery. In 2019, The Lipstick Project team is preparing to work at Holmberg House — an amazing 30,000 square foot, 10-bed facility that provides dignified end-of-life care to adults as young as 19 in the Abbotsford community. A model of end-of-life care and bereavement support, we are proud to join this exceptional team by offering body work, hair services and nail services to the Holmberg House community. The Richmond Rotary Hospice House is owned and operated by The Salvation Army and plays a very crucial role in the community providing holistic health care — particularly at end of life. Each of the 10 private, fully furnished resident rooms open to their own private patio, overlooking a garden, pond and meandering paths giving each resident a super peaceful, home-like environment. TLP is proud to provide hair services, nail services and body work services to the residents there. At Cottage Hospice, individuals from all walks of life receive compassionate end-of-life care in a home-like environment at a beautiful heritage home that overlooks the Burrard Inlet and the North Shore mountains. Through our partnership, TLP’s volunteer team provides body work services, hair services and nail care to the residents at Cottage Hospice.